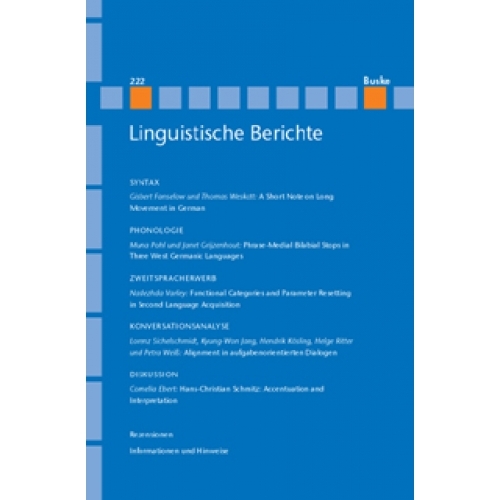 Empirically based research on second language acquisition (further L2A) has proven to be full of possibilities for delving further into the acquisition of functional L2 categories. 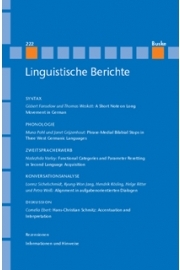 The current paper discusses general considerations concerning the extent to which the second language learner (L2er) is influenced by the first language (L1) grammar, the transfer – or the rise – of L2 functional properties, and the phenomenon of optionality in interlanguage grammars (ILGs), particularly focusing on the nature of linguistic knowledge that is available at different stages beyond the commencement of L2A. Drawing on the data from various levels of L2A, I have found ample empirical support for the claim that the reparametrisation of [+strong] L1 to [–strong] L2 features is a recalcitrant task to accomplish even in advanced ILGs, whereas the V2-parameter (motivated by verb-raising which is also available in the L1) is accurately acquired. Thus, the data obtained on the development of CP shell and expletives in TP has turned out to be consistent with my assumption that there is a kind of impairment in the syntactic module of L2 faculty, specifically associated with L2 uninterpretable features.